And I felt, in the silence that followed, everything that had happened on the trip to bring me to this place. 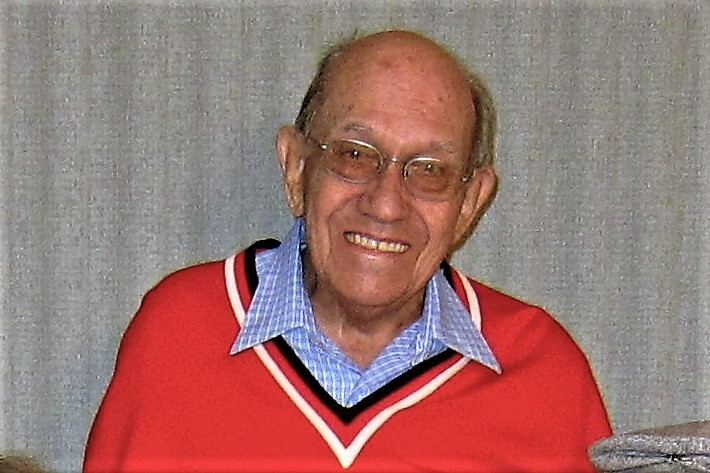 Saturday, February 18 through Monday, March 12, 2017-Admiral Baker RV Park, San Diego, CA: Kit and I received word during our stay that a dear family friend, and childhood mentor, had passed away at the age of 100. Mister “O”, as he was known to the kids in the neighborhood, was the father of my best friend Rodney and his sister Marti. 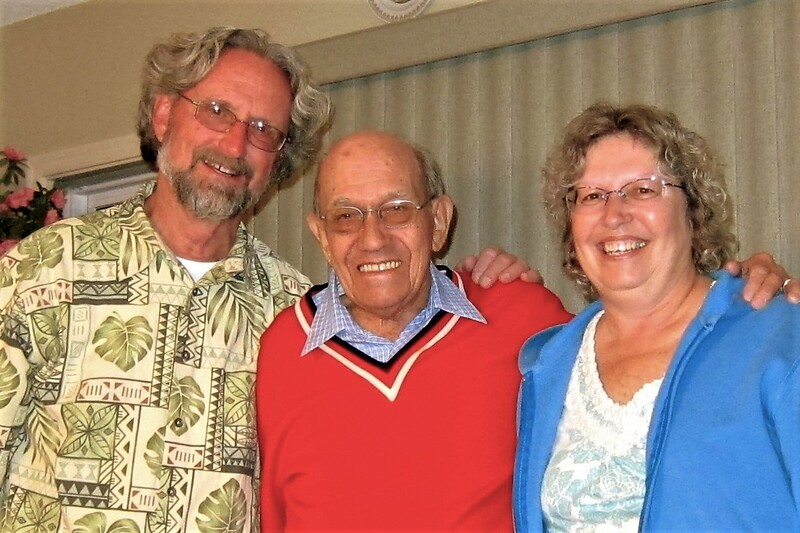 As a senior executive at San Diego’s Sharp Memorial Hospital, Mr. O possessed a sharp mind and a sharp wit, consistently regaling us kids with jokes and funny stories…occasionally a bit off color, which we loved! After my father left the family while I was entering the tumultuous teenage years, Mr. O, and a few other neighborhood dads, took an interest in my brother and me to make sure we didn’t remove too many wheels off the proverbial bus. Thank you, Mister O, for all the help and support during a very difficult time in my life…you remain an inspiration of a long life, well lived! Camping at Admiral Baker Park has become an annual tradition, and this year Kit and I ended up spending three weeks in this very nice and centrally located recreation facility…a relatively quiet oasis in the hustle and madness of a big city. As I’m sure you already know, we grew up in this area during the 1950’s and 1960’s. When we left, the city of San Diego claimed a population of 612,000 folks…today it has reached 1,390,000 souls! It is certifiably a grand megalopolis, with all the issues and problems of any large urban area. However, in our opinion, it is also one of the most pleasant and livable large cities in the world. We love returning every winter to enjoy the warmth of the season as well as the inhabitants…and to reconnect with family and friends that have stayed, and prospered in this city. 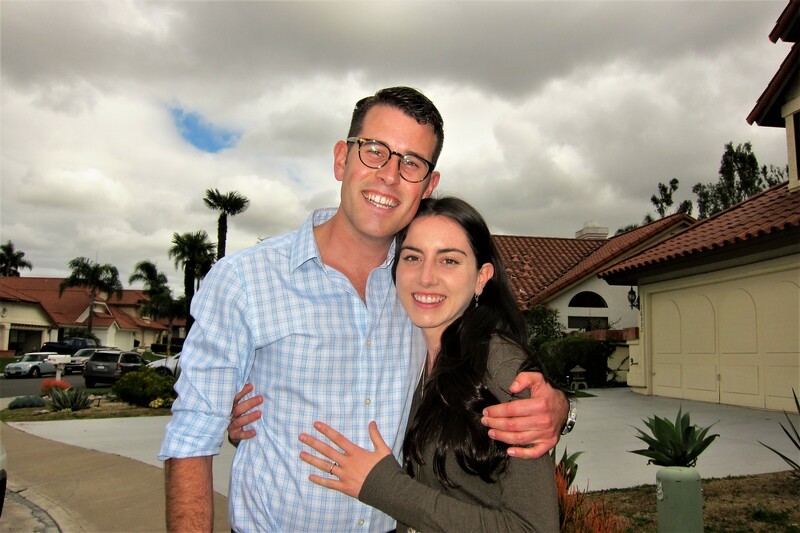 Toward that end, Kit’s brother Sam and his wife Ann hosted a family function at their home in Rancho Bernardo. Her whole family was able to attend except for brother Tom, who happens to be a vagabond and purported to be living in South America somewhere. 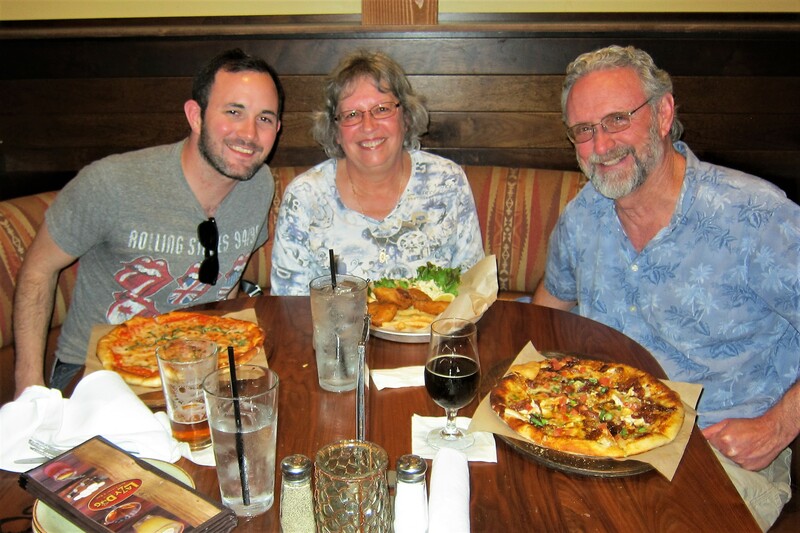 A nice meal was enjoyed as well as the telling of many stories of family lore! There were a couple of young folks that dropped in to visit as well, Kit’s nephew Matt and his fiancé, Paola. 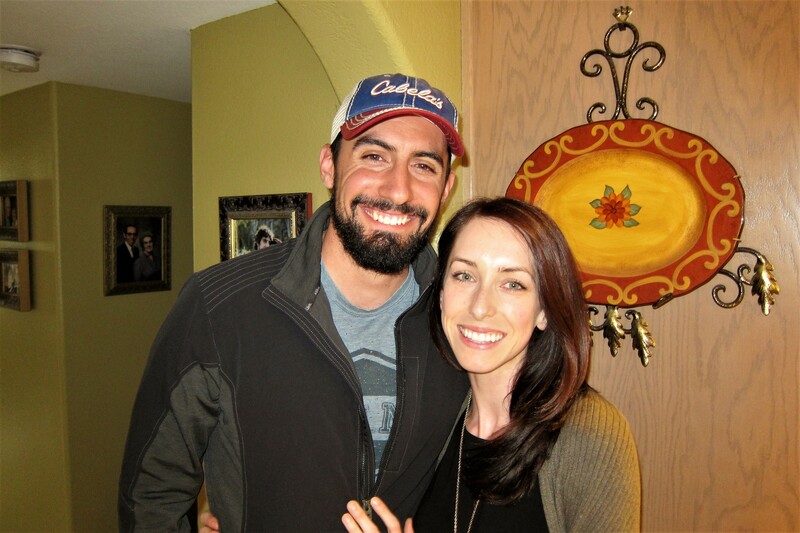 And Anne’s daughter Brittany and her husband, Andrew. Kit and I really enjoyed visiting with everyone and plan to meet up again before we depart the area. 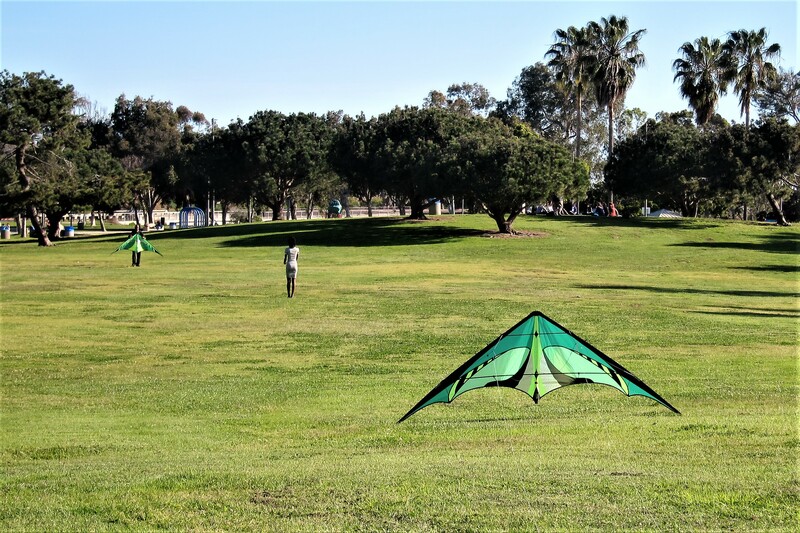 As mentioned, the campground we are staying is conveniently located to many of San Diego’s beaches and other attractions…one of which is the primo kite flying venue in the area, Tecolate Beach. 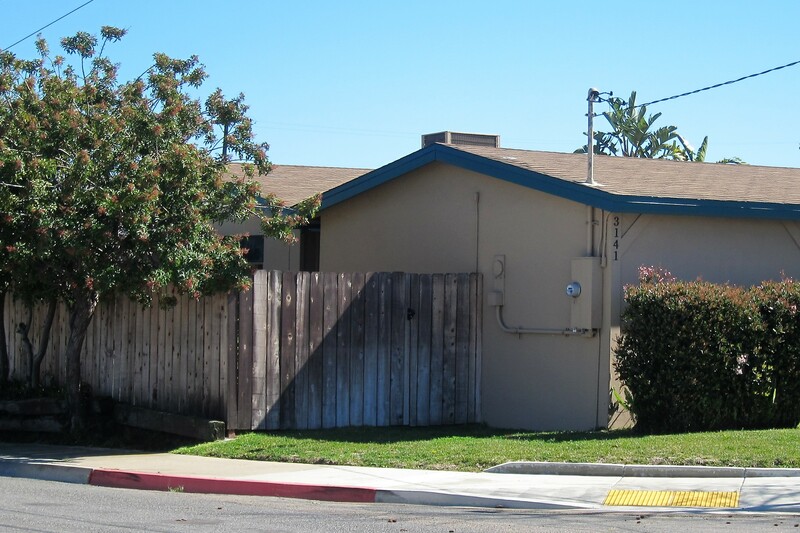 Located on Mission Bay this large grassy park sitting on the east side of the bay features excellent wind conditions. I spent many enjoyable hours over a few days flying various kites at Tecolate Beach. On one of those occasions there was a fellow kite flier that had the same kite in the same color as one of mine…so that’s the one I choose to use that day! We had a blast flying in close proximity and trying to keep our lines from tangling. 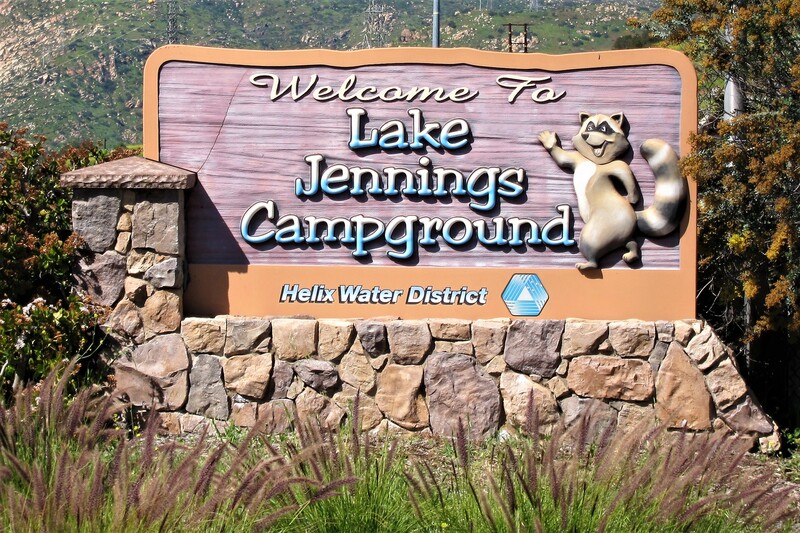 Even though Kit and I grew up in this area, there are many places that we haven’t explored, or that have been developed over the 50 years since we departed…one of which is Lake Jennings Campground in the East County. 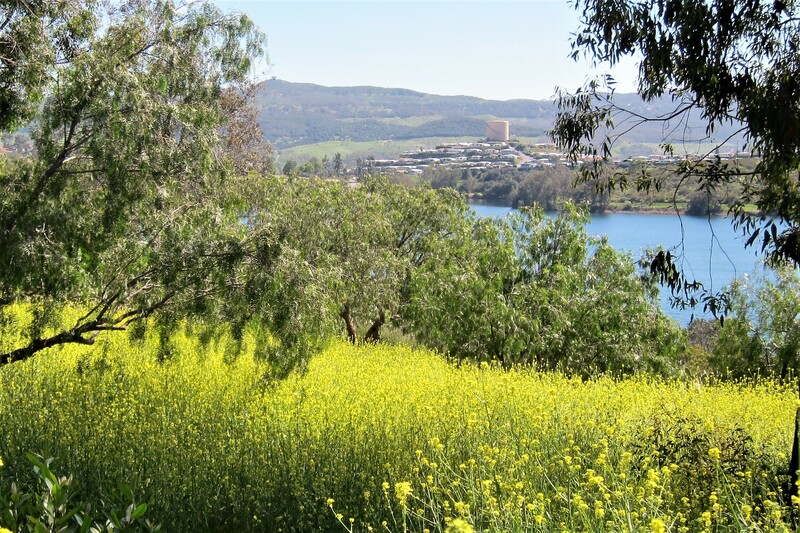 Nestled in the Cuyamaca Mountains, the lake is an 85-acre impoundment of a San Diego River tributary held back by an earthen dam. The park features fishing, hiking and a nice campground with some incredible views of the lake. And, as you can tell, the wildflowers were blooming like crazy! Next trip through, we intend to stay at Lake Jennings for a few days! 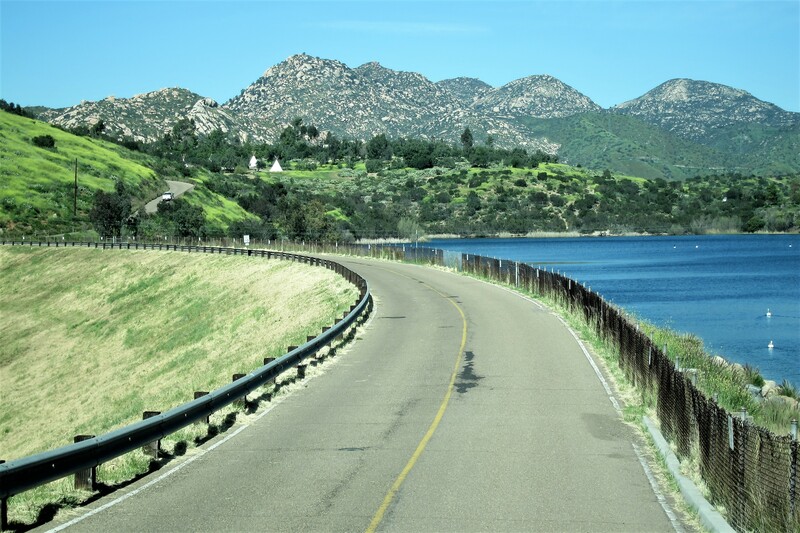 The reservoirs around San Diego County that provide the residents with their drinking water have been very low due to a prolonged drought…that is until this winter! 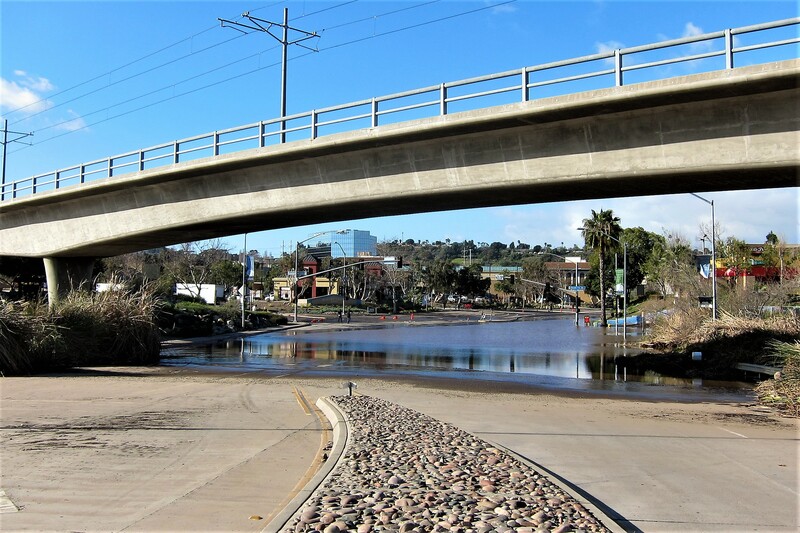 A few weeks of rainy weather, some of it biblical in volume, has not only filled the water coffers, but also caused the San Diego River to flow at capacity! Kit and I have camped next to this river for a few weeks every year of our Excellent Adventure travels, and this is the first time we have seen more than a trickle of water in it…it’s actually at the level that I remember as a child! 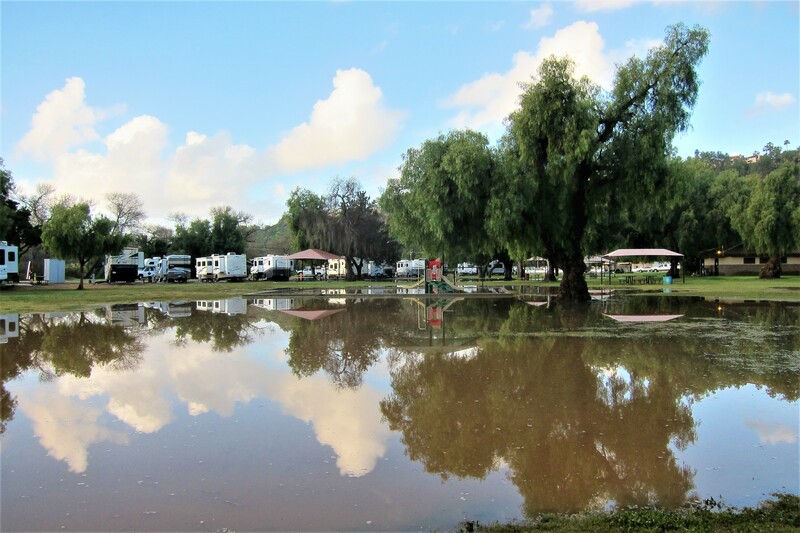 The rain was so heavy that the campground was partially flooded! 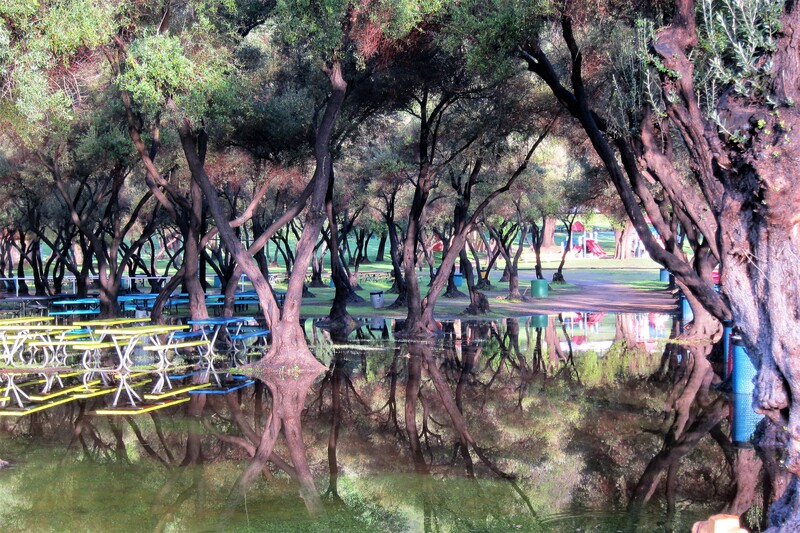 Even the nearby golf course and picnic Area were submerged. So, our enterprising campground neighbor took advantage of the high water to cruise about the perimeter of the golf course in his new kayak! 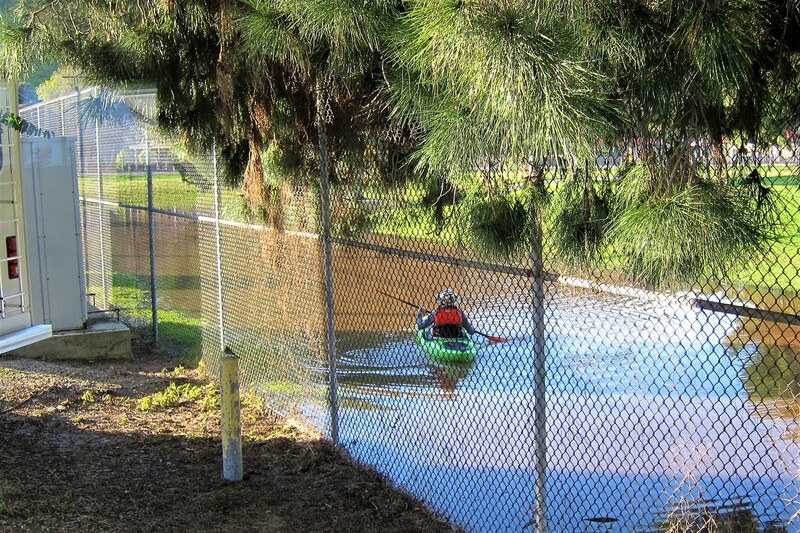 Yep, you guessed it…if I had one of my kayaks along I would have definitely joined him! While on the road, Kit and I tend to eat out often…yea, I know, ya think?!?! 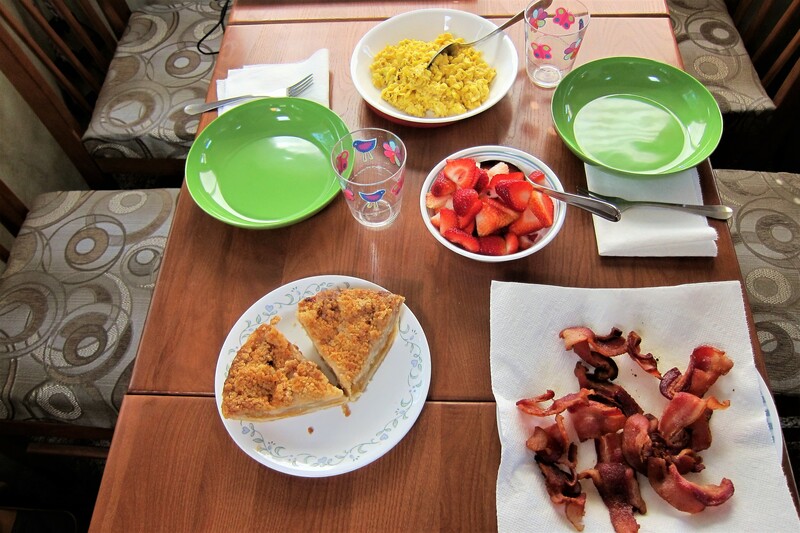 But we do actually enjoy a meal in the camper sometimes, mostly breakfast, and occasionally we go all out! Yep, if you’re wondering, that is indeed two slices of Julian Dutch Apple Crumb pie on that plate…the perfect California breakfast pastry! While in town, one of us was surprised with a birthday celebration. A bit early, but that’s because it’s a milestone year, and at my age, better early than never! 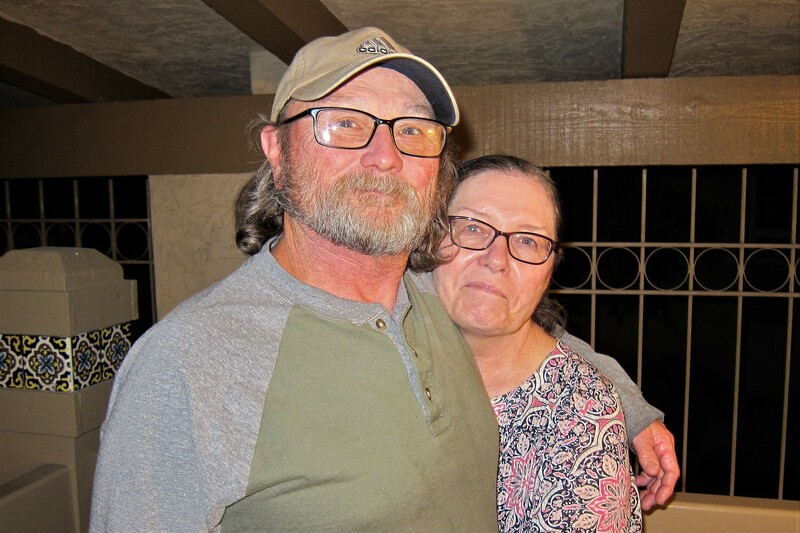 The very thoughtful surprise was perpetrated by Kit’s sister Char, and her husband Donald. Who provided a nice meal in addition to the cake and ice cream…and a rousing rendition of the Happy Birthday song sung in perfect pitch! 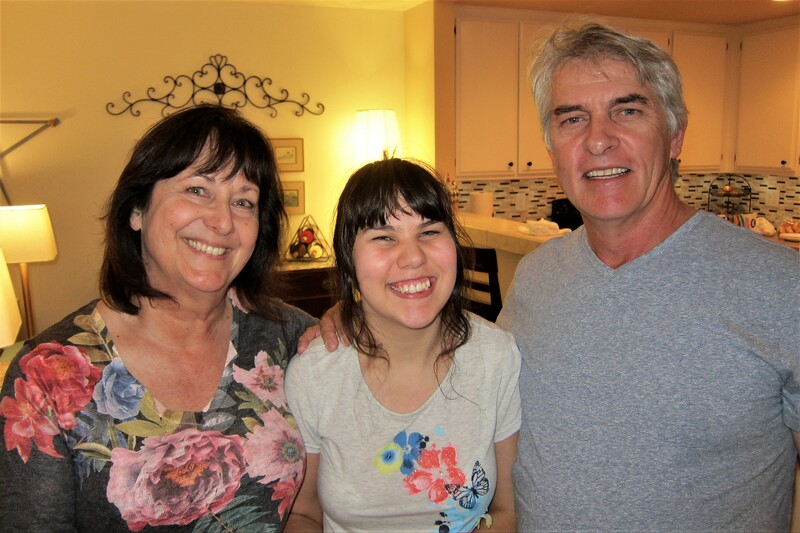 Also in attendance for the party, was Kit’s brother Sam, his wife Anne, and their delightful daughter Chelsea. Love that smile Chelsea! Thanks all, for making the day memorable! 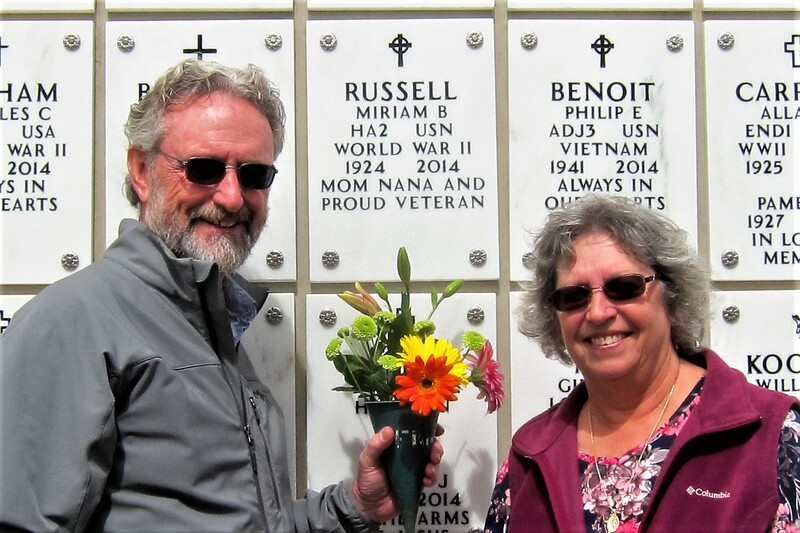 Then there was the annual trip to Point Loma where my mom is resting at San Diego’s Rosecrans National Cemetery. 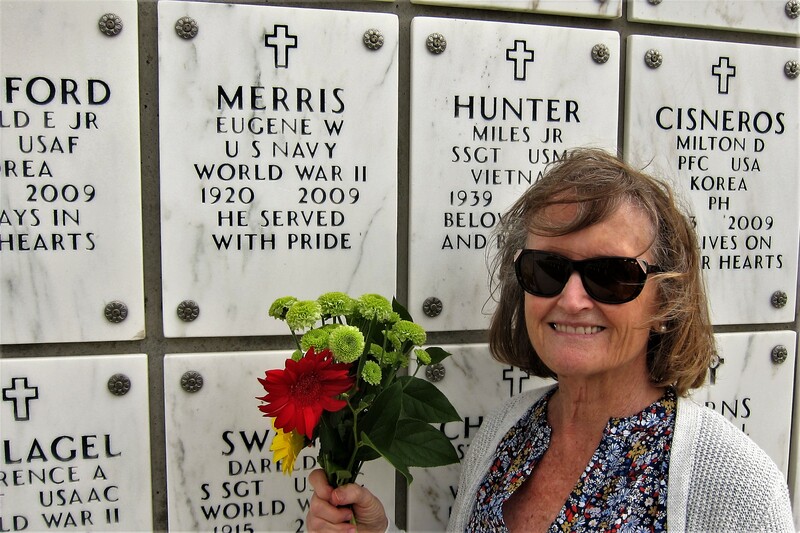 A veteran of WWII, mom was stationed at Peral Harbor, Hawaii and would have served longer, had I not come along! 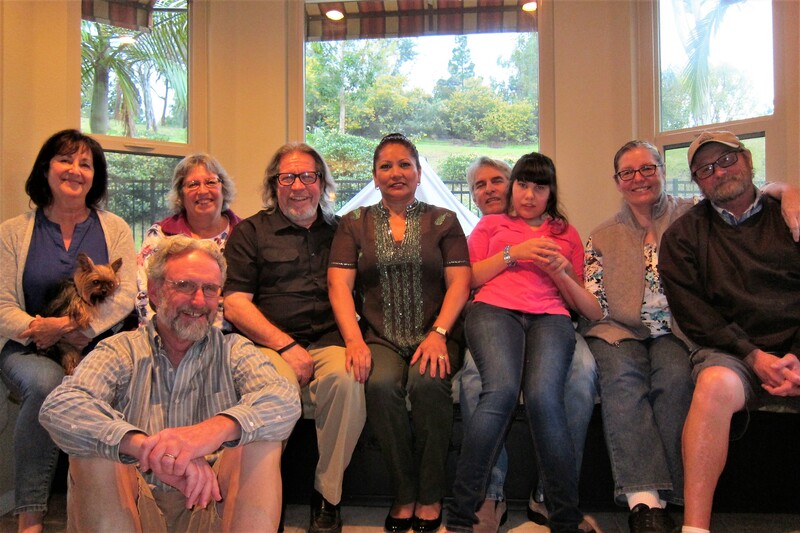 Accompanying us was our longtime friend from the old neighborhood, CeCe whose father is interned at Rosecrans as well. CeCe visits her father on many National Holidays, and takes the time to leave flowers at mom’s grave as well. Thanks, CeCe for your thoughtfulness! Within Rosecrans National Cemetery there are numerous monuments, one of which stands tall on the grounds. 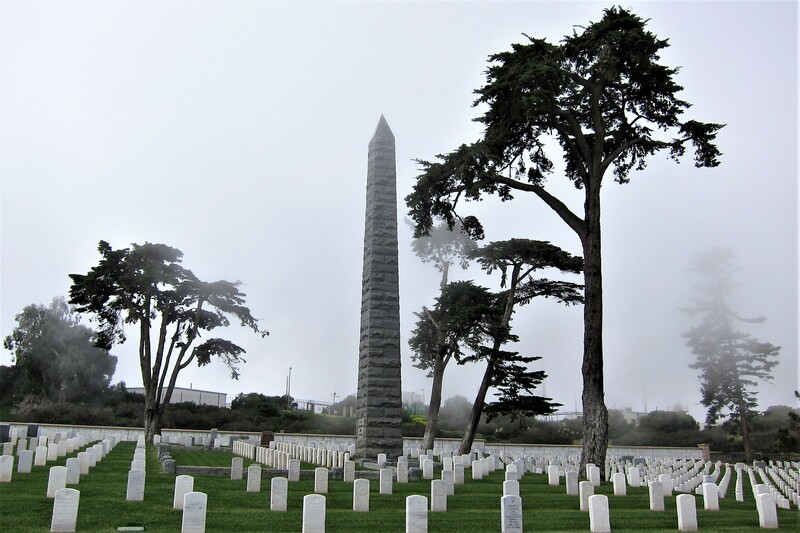 The USS Bennington Monument memorializes the sixty men that were killed, and the remainder of the crew of 106 who were severely injured, by a boiler explosion in 1905 while the Navy Gunboat lay anchored in San Diego harbor. The 244-foot long steel hulled ship was rigged with three schooner masts but relied primarily on steam engines for propulsion. A combination of crew error, and a malfunctioning steam gage caused the boiler to run up into overpressure and rupture. What had been the worst Navy disaster to date, caused the ship to take on water and list badly to port. A nearby tug came to the rescue of the crippled vessel and nudged her onto a sandbar before she could sink into the bay. Eleven of the crew were eventually awarded the Congressional Medal of Honor for “extraordinary heroism”. 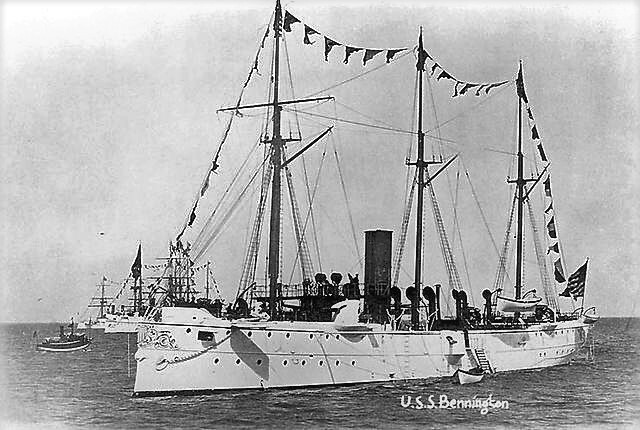 Due to the extensive damage, the USS Bennington was decommissioned the following year. While in San Diego, we learned that a cousin from back east was in town for work. So, Kit and I were delighted that he was able to meet up with us at a local tavern for food and drink. 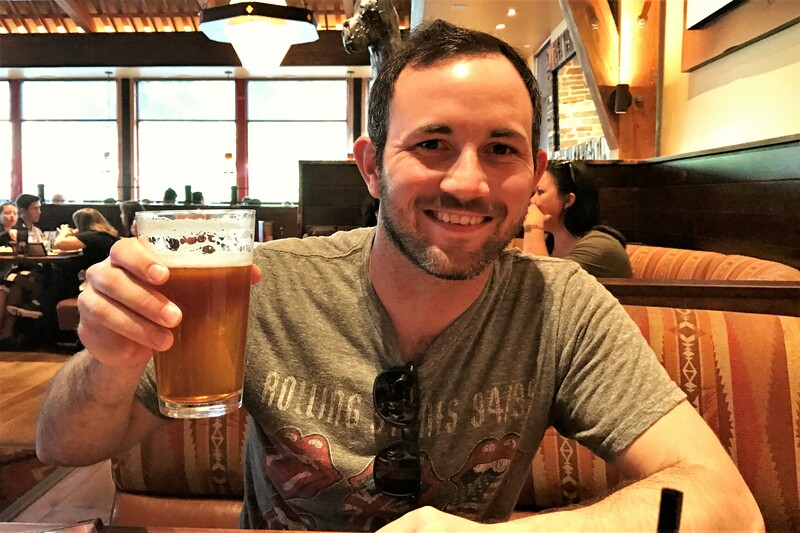 Tim, a recent graduate of Drexel, works as an engineer for NAVSEA, the Navy department that is responsible for engineering support on all U S Navy ships. A frequent traveler, his job takes him to many bases around the world and fortunately our travels crossed so we could enjoy spending a few hours with this fine young man. It’s no secret that I’ve become a bit obsessed with kite flying. So, while in San Diego, I sought out a true legend in the sport at his small shop on the edge of downtown. 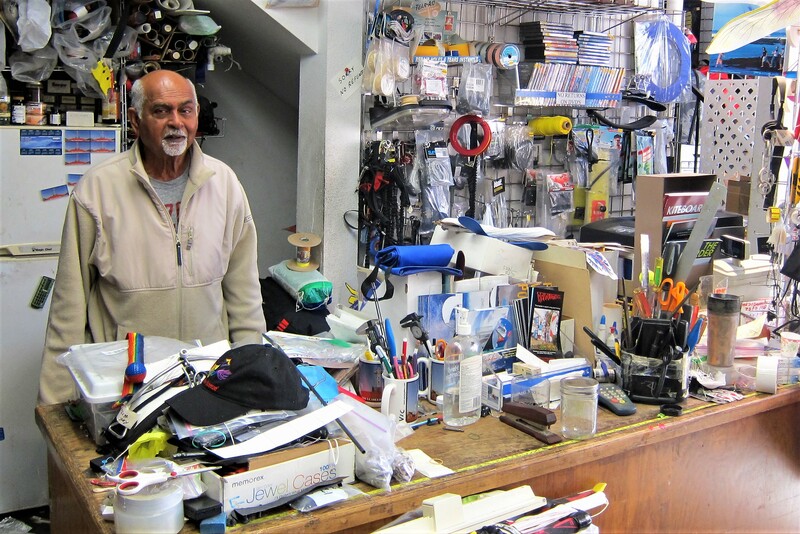 Kite Country, is the store where Victor has held court for over 25 years. A native of India, Victor has been messing around with kites since childhood, if you’ve read the book “Kite Runner” you get a glimpse into the kite culture he was raised in. A world-renowned designer and builder of “Fighter Kites”, Victor now focuses his craft toward high performance Sport Kites…the kind I favor as well. 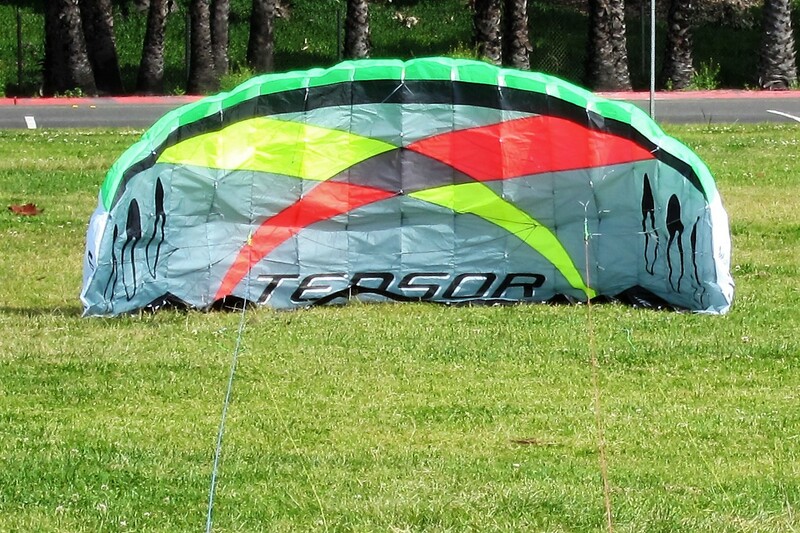 A slow day in his shop, I was able to spend about an hour with him learning a great deal about the design and construction of various kites…and, since it is near my birthday, I purchased this beauty as a gift to myself. A three square meter parafoil, this thing pulls like a freight train! In fact, at winds over 15 MPH, it has the capacity to actually lift a human off the ground!?!? That is why the kite comes with “brake lines” …a second line set that attaches to the trailing edge of the kite and, on command, spills some wind out of the parafoil which tames this beast. It’s a blast to fly, especially with a 75-foot tube tail attached! In ozing about town, we have spotted a few unusual items…such as Gael’s Wallpaper shop and Lobster pound. 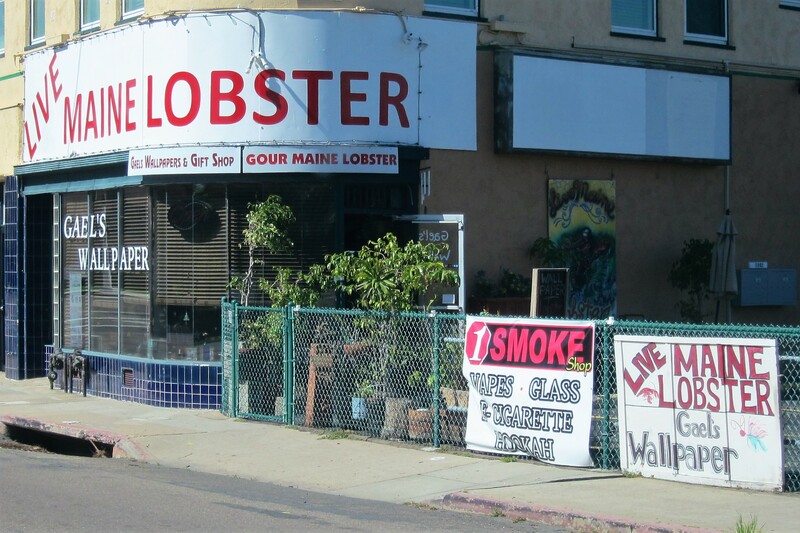 Yep, the sign does indeed read…GourMaine Lobster. 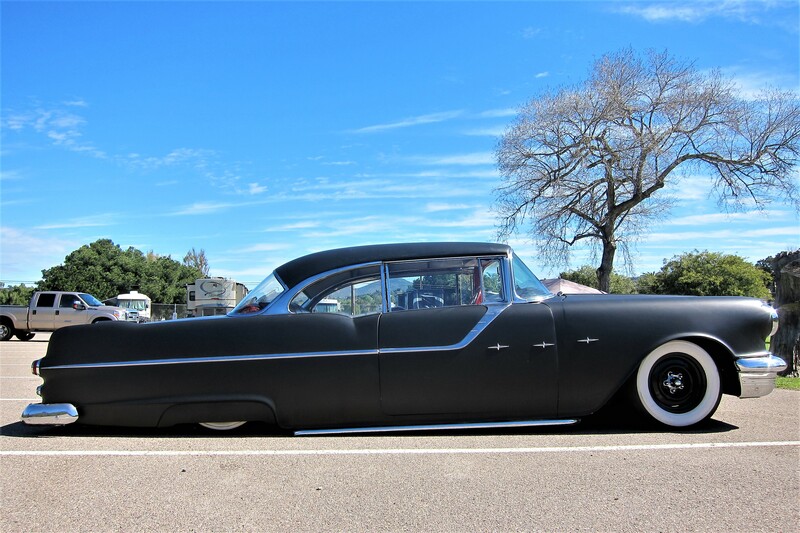 Then with a large Mexican population, there are a fair amount of “Low Riders” sitting about. This mid 1950’s Pontiac was owned by a fellow camper and sits hard on the street until the engine is fired up, the hydraulics get pressurized, and then it’s off he goes at a somewhat normal ride height. Also, pulling into the campground was this unusual camper. 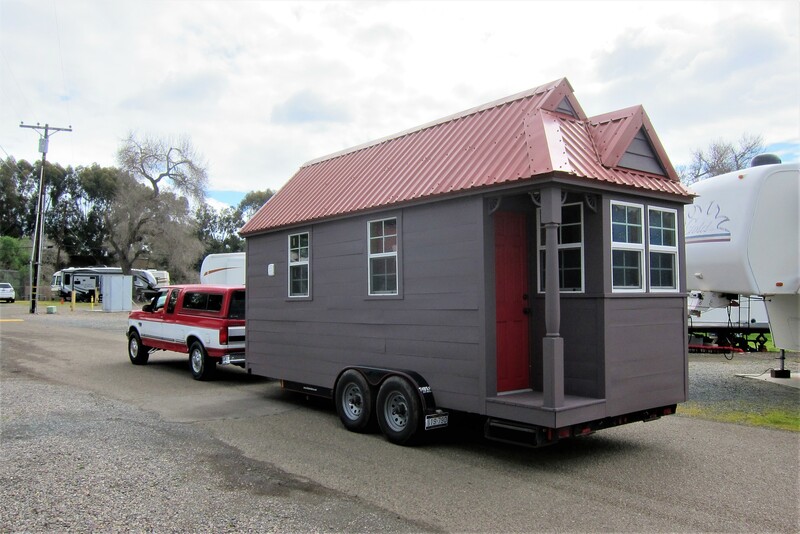 Built on a heavy-duty utility trailer frame, the Tiny House on wheels is being used as an RV! 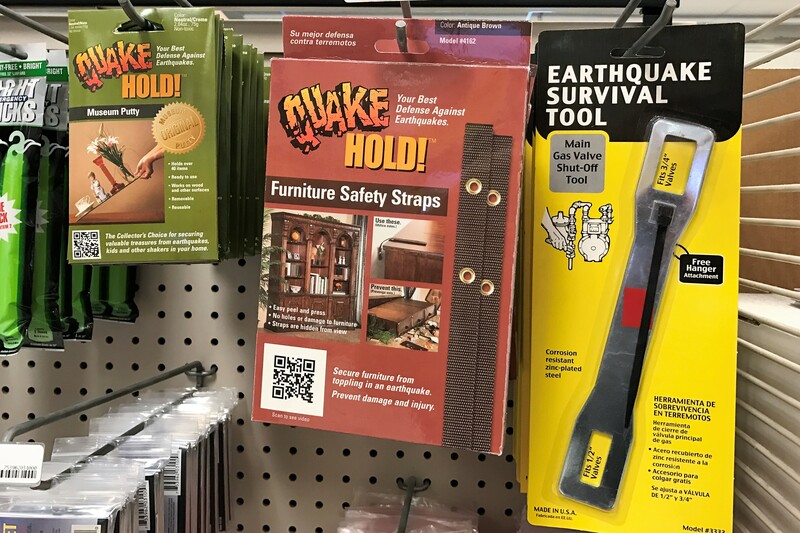 Finally, you know that you’re in California when these products are prominently displayed in most stores. Not sure how much good they would do in a camper, however! 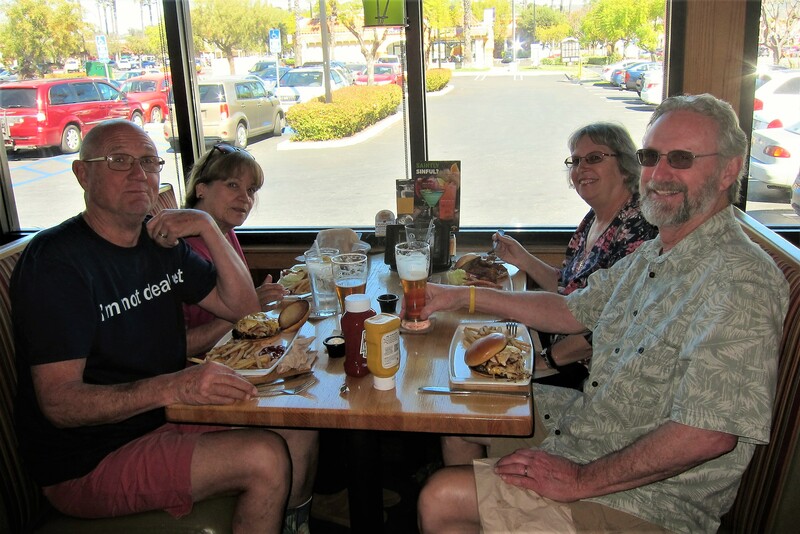 Kit and I were able to visit with our childhood friend Rodney, and his wife Gloria once again. This time, we rendezvoused at a mutually convenient restaurant for a few beers, a nice meal, and great conversation. 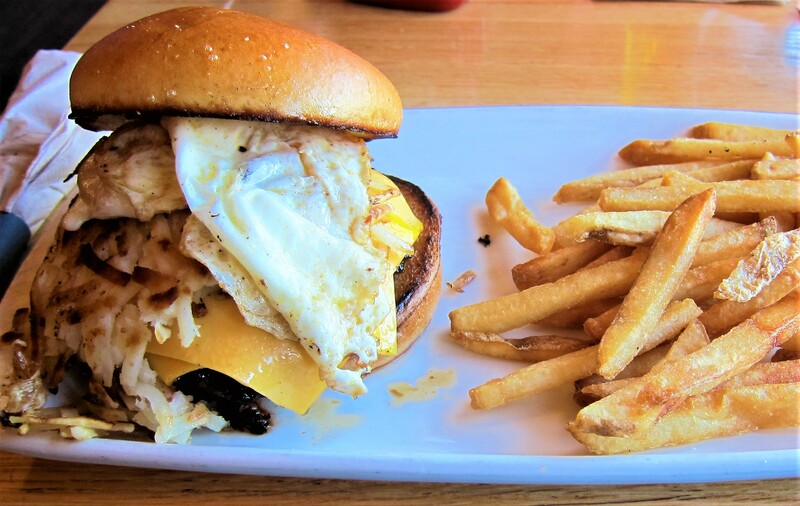 Where I tried an unusual dish…kind of a breakfast/lunch hybrid! Not very healthy, but some good! Had a great time as usual folks…thanks for coming north of the border to share a meal with us! 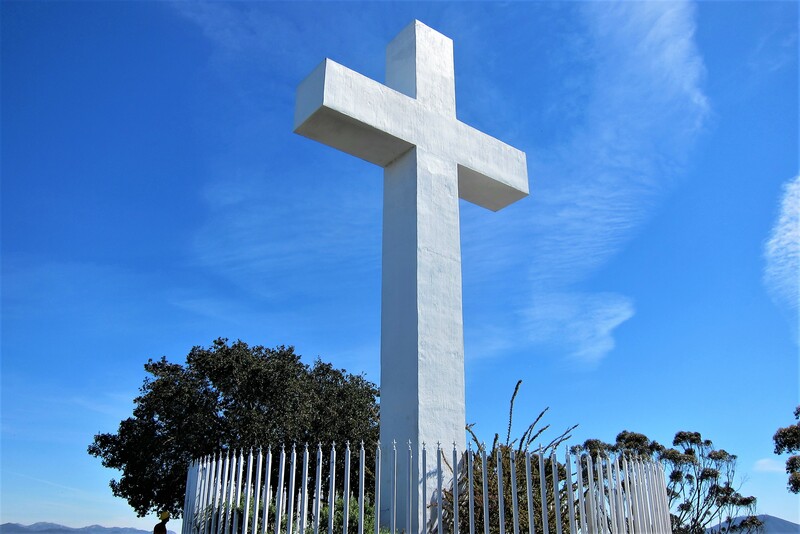 One day, we took a ride up to the top of Mount Helix, which is topped by a brilliant white 35-foot masonry cross. The views of the San Diego countryside from this lofty height are incredible! 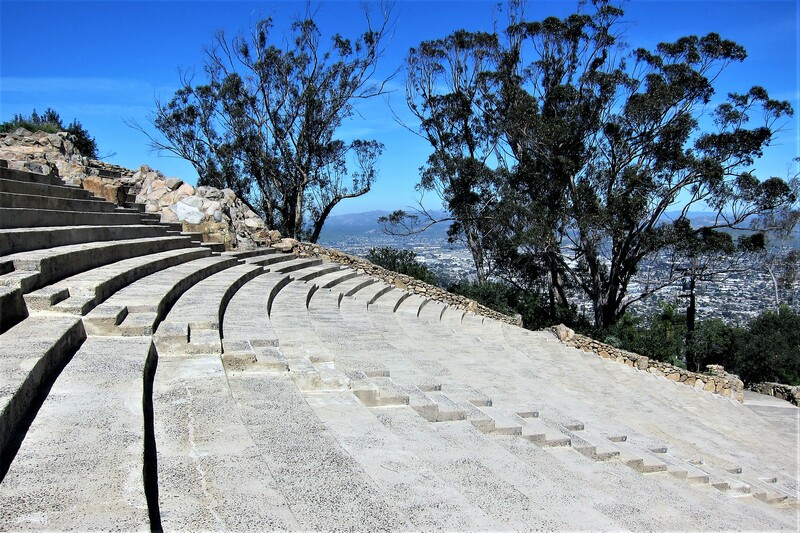 And built into the hillside just below the summit, is a large Amphitheatre. Where I vaguely remember attending Sunrise Easter Mass many years ago. 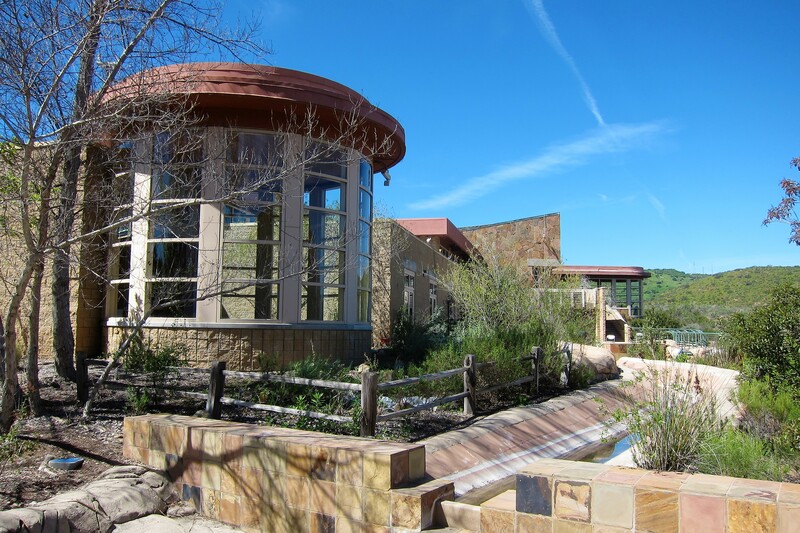 This entire park was built by a small group of private citizens to honor their ancestors who once lived below the summit…it is now managed by a foundation and is open to the public. If in the area, take a ride up the steep winding road, you will be richly rewarded with grand views and a sense of peacefulness. Returning to the coast from Mount Helix, we decided to detour to Mission Trails Park just to the east of our campground. Kit and I like to spend time scouting out alternative camping opportunities for future Excellent Adventure trips. 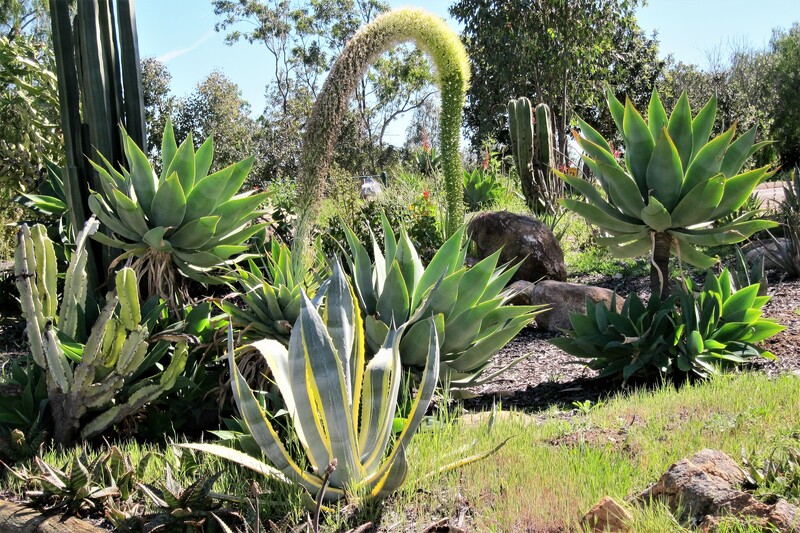 Mission Trails Park is a 5,800 acre preserve that features sixty miles of multi-use trails, a campground, and a very nice visitors center. 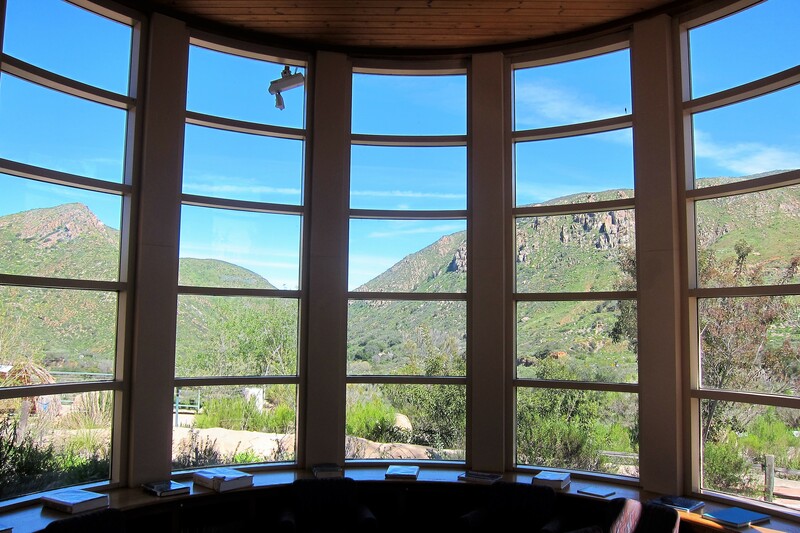 Along with a museum of the areas artifacts and a nice library/reading room, the visitors center has an incredible view of the surrounding hillside from climate controlled comfort. 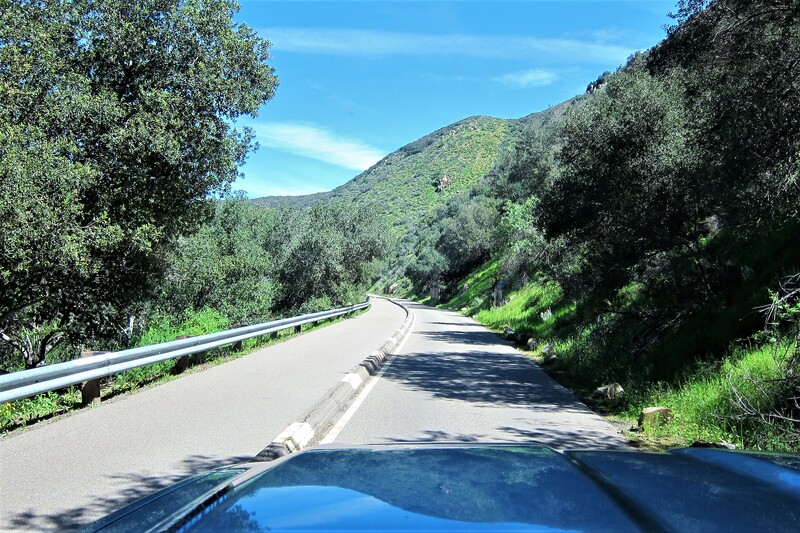 However, the access road to the campground is narrow and winding, with a few tight turns and overhanging vegetation waiting to snag the roof of a camping trailer. I’ve hauled the camper on worse, but have also sustained some damage in doing so. 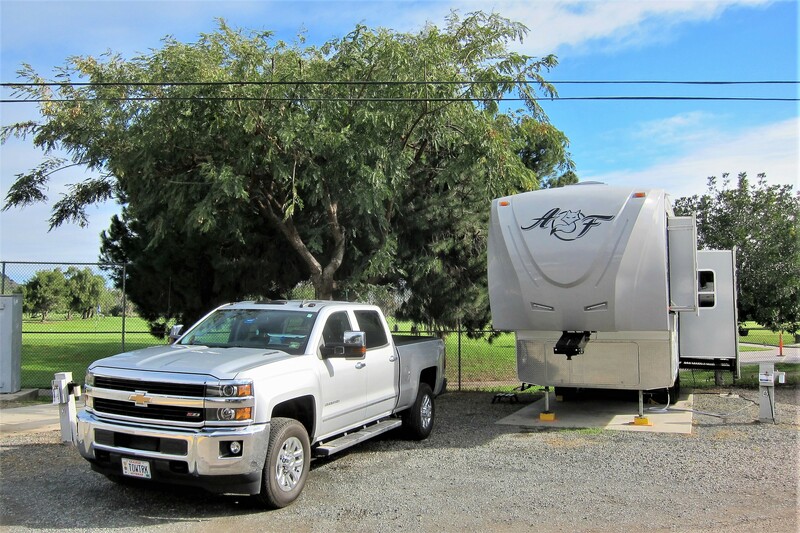 Might be worth the chance except for the small and tight spaces in the campground itself…great for Class B’s or tents…not so much for a 30 foot fifth wheel! 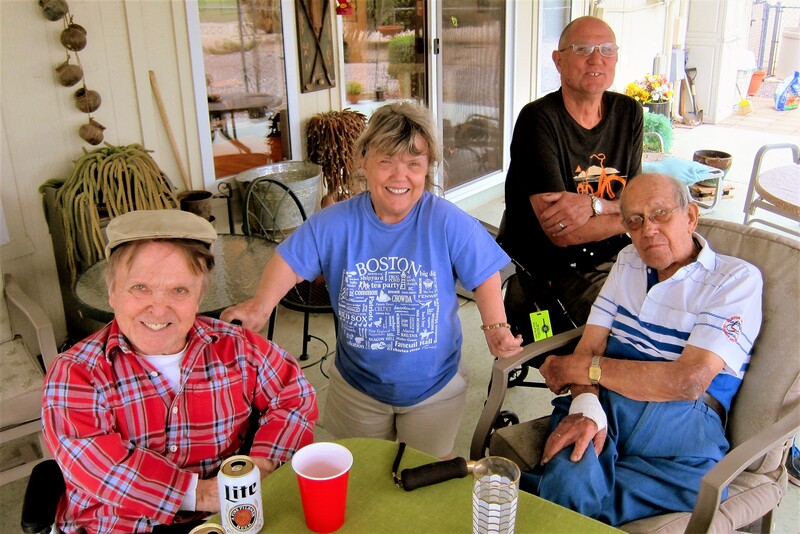 We also spent time with our neighborhood friend, JoAnne and her husband Ron. 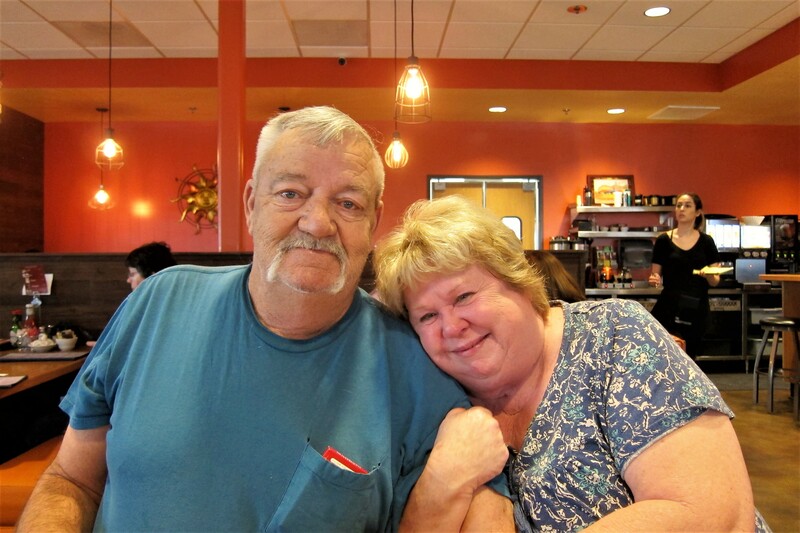 They hosted us at a tasty steak barbeque in their home, and we also met a few times at local restaurants…one of which is our favorite, the Omelet Factory. 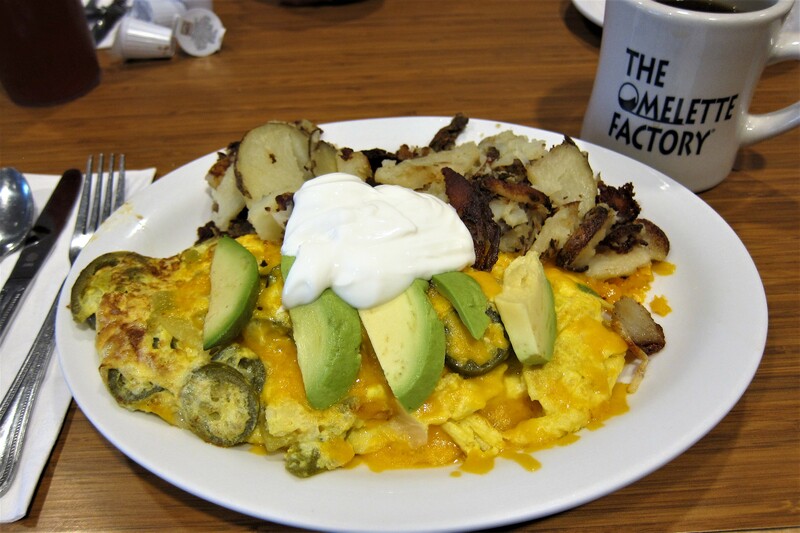 Where the food is incredible, inexpensive, and plentiful…if it can be paired with eggs, the Omelet Factory has it on their extensive menu. Yep, that’s jalapenos, queso, cilantro, avocado and sour cream on the plate…a real taste of the Southwest! What with all the rain, the wildflowers and erosion control plants such as this pickle weed are in full bloom. 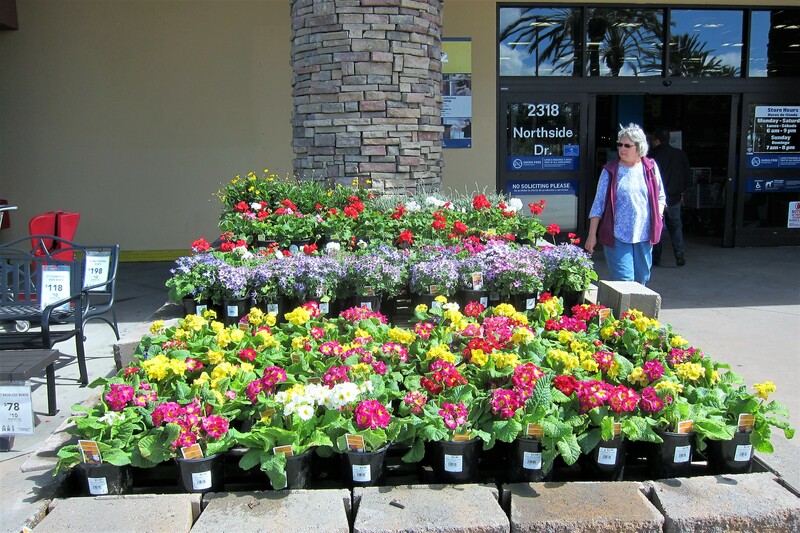 And the home centers have their spring flowers set out. Even the Agavoideae are getting in on the action. 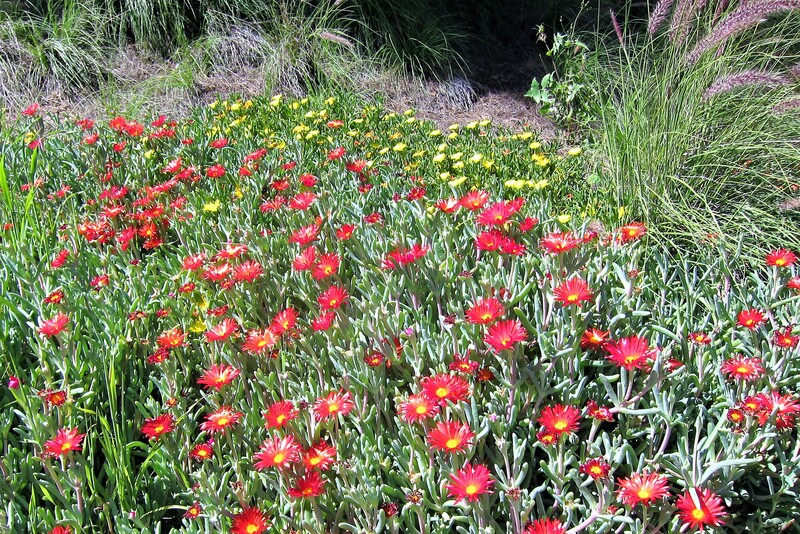 The whole area is blooming like crazy, and the greens are vibrant as well…good time to be exploring the Southwest! I’m posting the following photo as it played a significant role in our teenage dating years. You’ll have to ask Kit for, “the rest of the story”! Speaking of Kit, she plays an important role in proofreading the chunks of words that I spew into these journals. She toils at this task not because she is worried that I may embarrass myself, she’s used to me doing that…but because there is usually an incentive involved! Notice the line of “incentives” in the photo above. 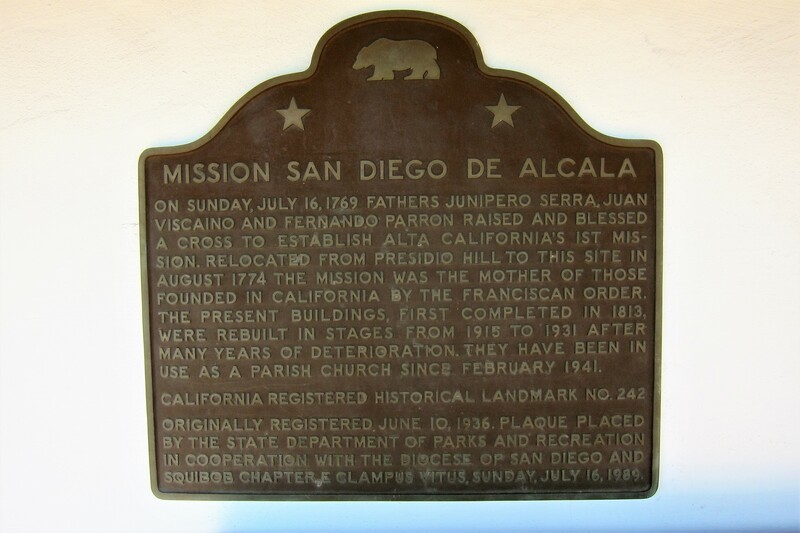 In our mission to explore the early California Missions, we spent a few hours at the Mission San Diego De Alcala. 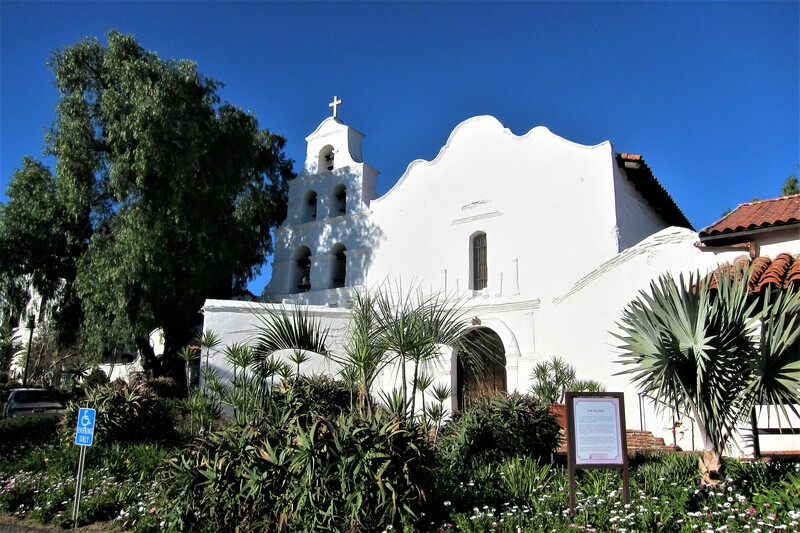 The first Spanish Mission along the famed Mission Trail, San Diego De Alcala was established in 1813 and has undergone many updates and additions. 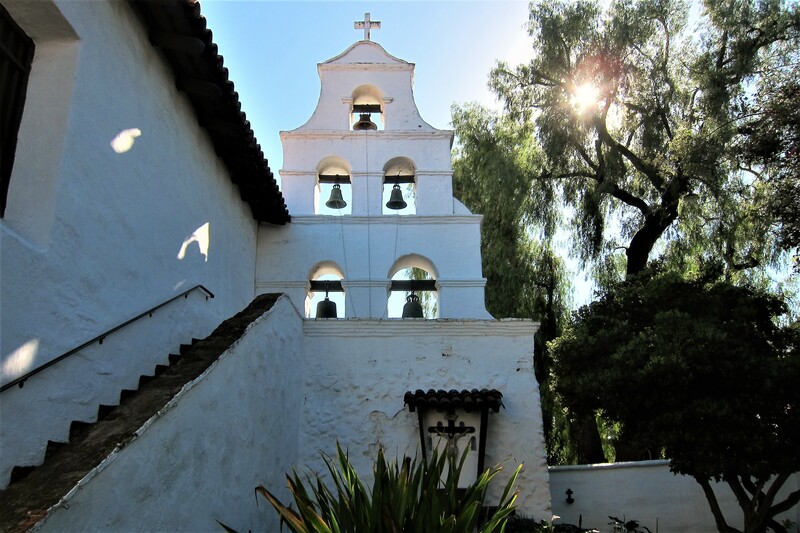 The architecture is classic Spanish and the belfry is in a bell tower façade. 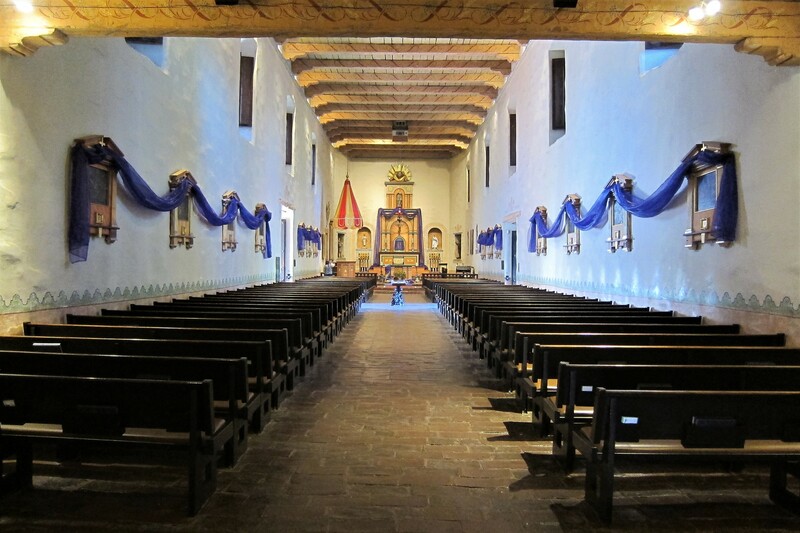 An active parish, the mission hosts daily mass in the original church. 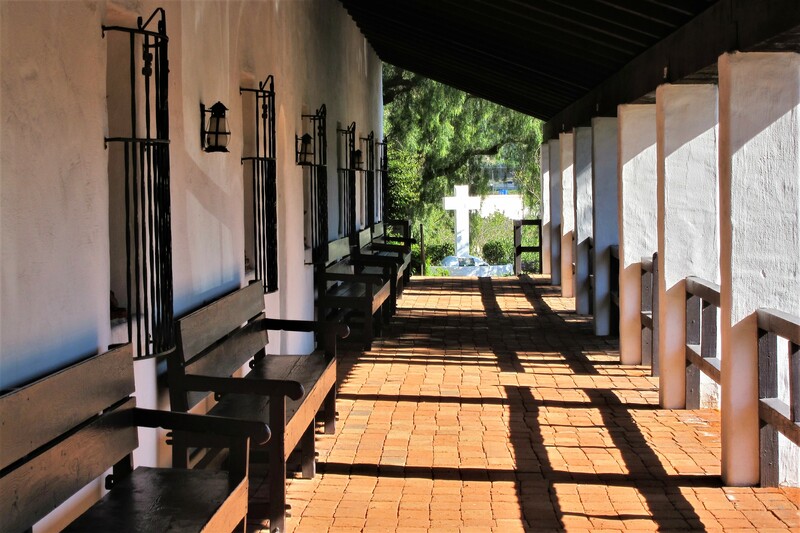 Many mission churches were long, narrow and tall…the width being dictated by the height of the nearby trees to span the church and support the roof. 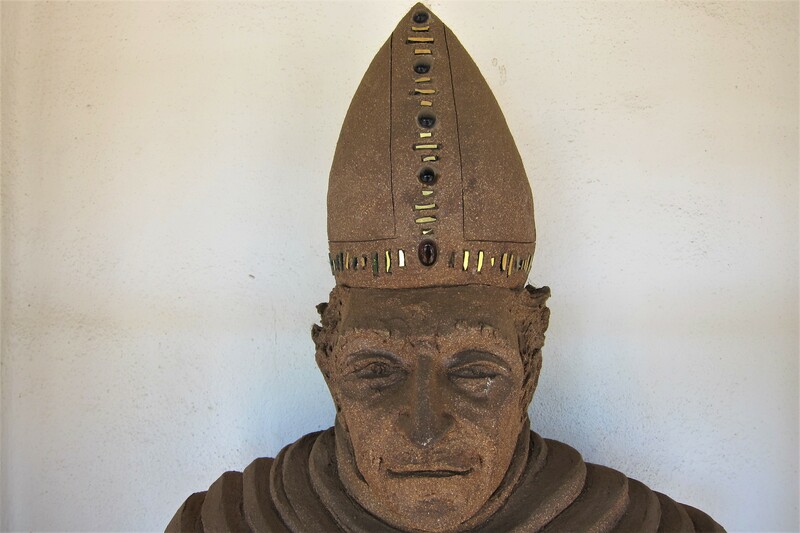 The early fathers served as the moral guidance of the congregation and the nearby Indian heathens…and the sported some pretty cool hats as well! Kit and I thoroughly enjoyed walking about the grounds and talking to the volunteers that were acting as docents. A particularly funny thing transpired in the gift shop after the tour. One of the 70-something parish ladies was flustered with how to document a recent discounted purchase that a parish priest had made, exclaiming; “I’ve never done a priest before”. To which the other 70-something lady blurted out: “Me neither, but I sure would have liked to”! To which I responded by laughing out loud, which threw the two church ladies in fits of embarrassed laughter…you can’t make this stuff up! Well, this ends another great season in our childhood home town! Tomorrow we head north for some beachside camping…stay tuned! 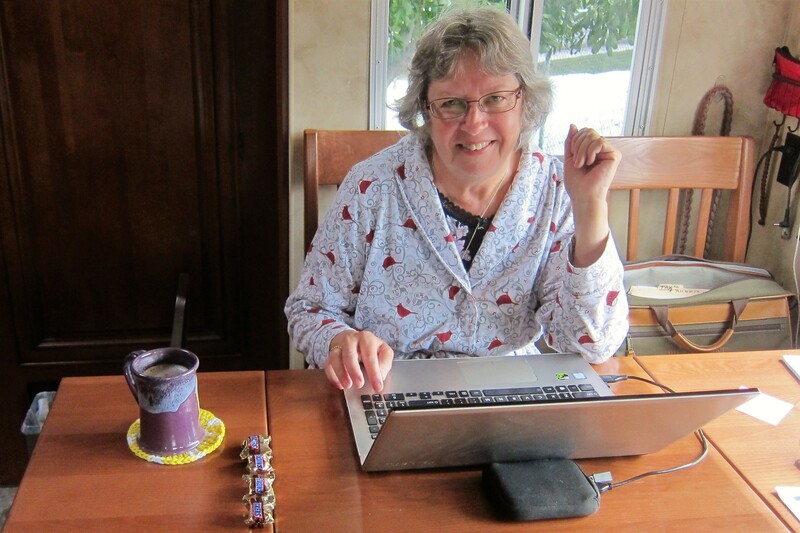 Kit’s Bit’s: We had a thoroughly enjoyable time in San Diego, this year. Even though it was only three weeks, we paced ourselves more than in previous years. Of course, during the big rain and floods, we were forced to lay low. It was nice watching it all. It’s rare that SD gets that much rain. 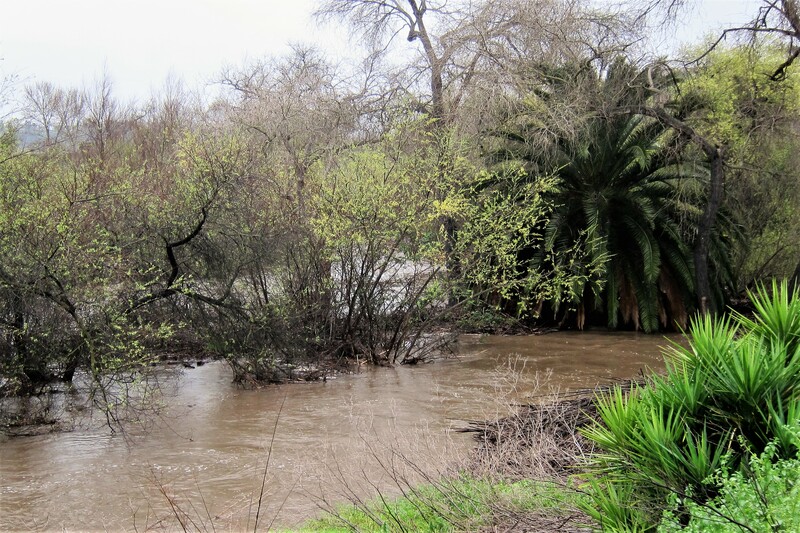 Seeing the river rise was great! However, as usual, Mission Valley (the shopping area) was flooded, causing lots of traffic issues. My sister Charlotte and I were finally able to take the San Diego Trolley around the city! We’ve been talking about doing it for several years but something always got in the way. I think the total cost for both of us was less than $10.00! We rode all the way out to Santee and back and through downtown SD, as well. Next time, we plan to ride down to San Ysidro, which is just north of Tijuana. Great way to see the area without having to drive through it! Love visiting SD but miss our little town in Maine and I’m eager to head home. 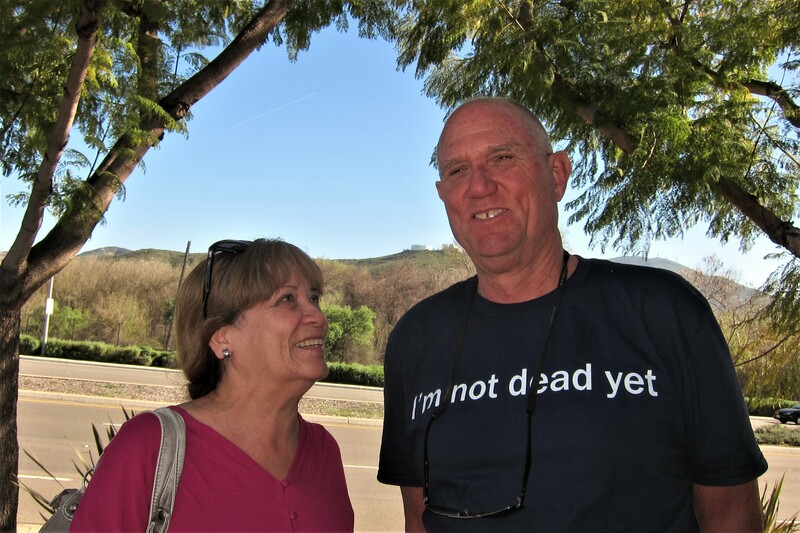 Bill and Kathy, the Mission Trails Park access road years ago was the road you took to get to Santee and Lakeside. Even in those days is was very narrow for two way traffic. Used to ride our bicycles on this road to go visit my Aunt and Uncle. If you get out by Palm Springs area give us a shout. 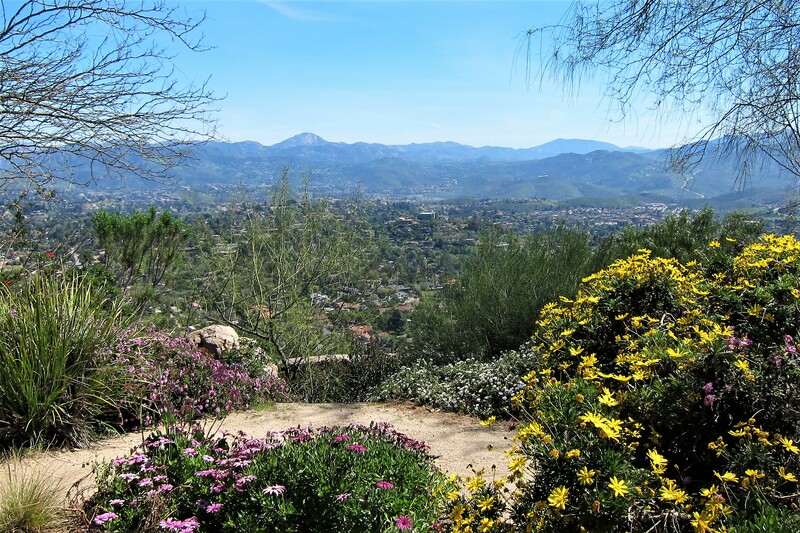 Hi Alan, thanks for the comment and your personal recollection of the Mission Trails area. We were in the Twentynine Palms area a few days ago, which I believe is a few hours north of your town. Got caught in a wicked wind and dust storm which put us a bit behind our schedule to hook up with our grandsons in Vegas. If we get in that area during future trips, we will get in touch with you. Have a great year! I loved this excursion thru your hometown. Sorry for the loss of your dear family friend Mister”O”. Sounds like he lived a blessed life. ……What a beautiful place SD is and a great place to grow up! I love Lake Jennings Park…..lots of spots to meditate and enjoy the views. 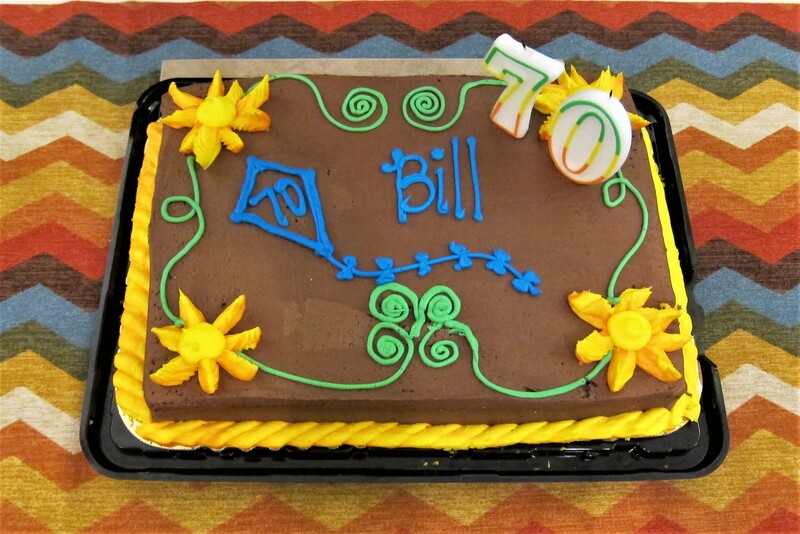 ….Happy b-day 70th Bill! Nice you could spend it in SD. ….The line of incentives for Kit…..Snickers? LOVED the story in the gift shop about the priest! …..The rest of The story about the house and your dating years….would it be you climbed over that fence a few times? Thanks Nancy for the nice comment and birthday wishes. As for that fence…you’re close! WOW BILL!! BIG 70, ONLY 30 MORE TO GO TO CATCH MORGAN!! LOL JEANNE AND I SEND OUR BEST BDAY WISHES!! We enjoy all the various sites that you so skillfully take pictures of, the mission was a favorite in this journal and the mega mac breakfast sandwich the next best!!! Ice out here today!! Chet won the pool, 7 bucks. Jeanne off to Portland shopping with Nan and Frankie this morning. A big storm with snow predicted for later tonight into tomorra!! Stay safe and we look forward to your return East. Thanks bud, for the nice comments…see you in a few months! Hey you guys, thanks for the comments about my dad, I really appreciate it. He will be missed but, he lived a good (and long) life. We enjoyed seeing you, have a safe transit for the balance of your annual adventure. Your father was a hell of a man, as you are my friend…love you both! You two are the best! Thank you for the great tribute to our dad. Yes, he was a prankster and a great dad. He always gave me the liberties to prove that if I want to do it then give it your best shot. Growing up I felt as though I had 2 older brothers and a sister. I love the both of you dearly and I’m so happy that we have connected our lives again as we did in San Diego growing up. I had the best two surfing teachers ever, even though I just kept falling off the board. Thank you again for a wonderful tribute to dad. I’m sure he’s smiling down at the both of you.